This is how my makeup travels. Not like on a trip, just around the city, like when I want to do a friend's face. 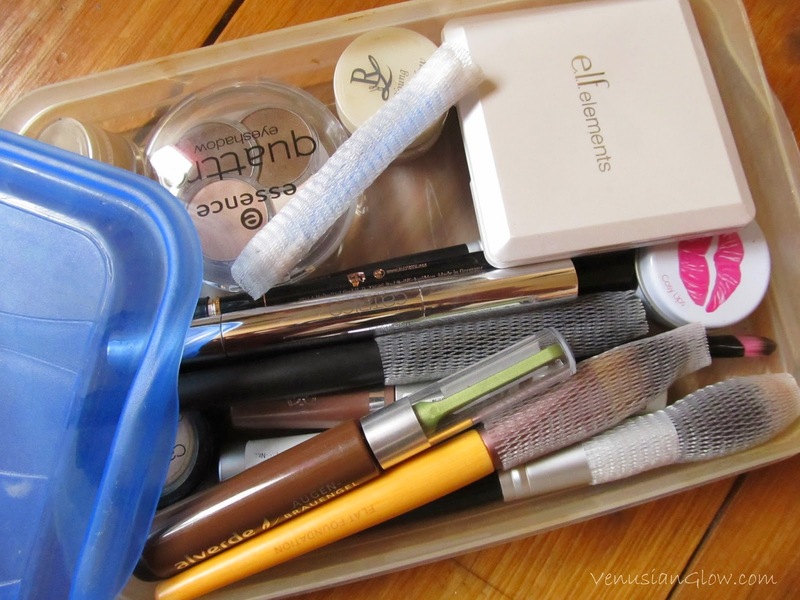 I have a double-decker lunchbox with a very flat top compartment, which is the perfect height for makeup. My brushes travel in brush guards. 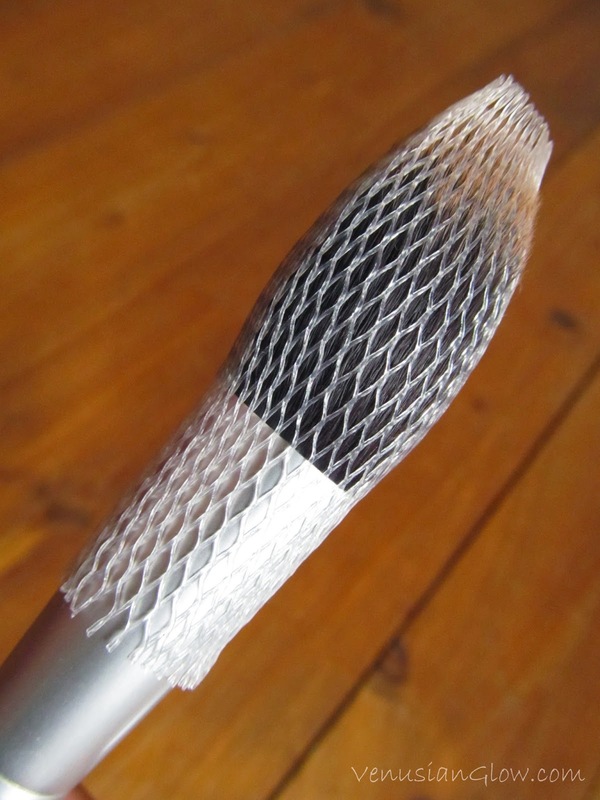 These are plastic net hoses that can be slipped over the bristles to save them from getting squashed and misshapen during transport. The hose is very tight when new, and can be stretched pretty wide. All but my thinnest brushes fit inside. You can buy it in pieces but I prefer a longer piece that I can cut myself. 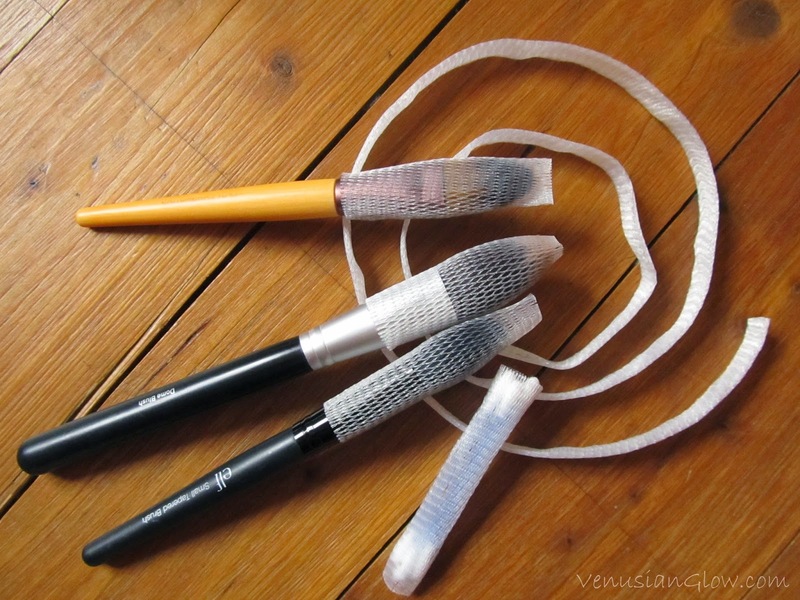 You could also slip freshly-washed brushes into brush guards to dry so that they retain their shape, this works really well for older brushes that are starting to lose their shape. I slipped in a couple of Q-tips into a piece of brush guard. The q-tips are great for cleaning up any mistakes. I got really cheap my brush guard really cheap from BuyInCoins. If I carried my brushes around more often I would probably invest in a nice etui, but at the moment it's not really worth it. 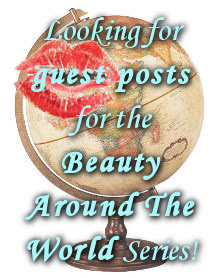 Looking for some other options? You can use the protectors that some florists use, or you could use garlic nets. Anyone else a fan of brush guards? Where do you buy them? How do you transport your makeup?